Could you describe what it means for a person with a disability to start a mobile and independent life with a well trained assistance dog? Join in and become a part of the Pfotenpiloten community through your non-profit donations or volunteer work. With your help we can make a huge difference! Thank you very much for your donation! Do you want to support Carlo or Inka directly? Please add a note on the transfer. We will gladly provide you with a confirmation of your generous contribution. A deposit receipt or bank statement of up to €200 is enough for a donation receipt. We are recognised by the Frankfurt tax office a non-profit charitable organisation. We are registered by the district court under no. 15656 as a non-profit association. Online Donations: Safe and Speedy! Informieren und spenden: „Ausbildung von Carlo und Inka zum Assistenzhund“ auf betterplace.org öffnen. You can support Carlo & Inka without having to pay an single cent? Yeah, that’s right! Pfotenpiloten is supported by ‘Gooding’ as a non-profit organisation. With a few clicks, an average of 5% of your online spends are donated to us! Almost 1500 of the best online shops take part in this. 1. Install the Gooding Toolbar here (Firefox, Safari, Chrome and Opera Browser). 2. The toolbar will appear on the browser which you are donating on. 3. You don’t need a Gooding account to take part. Your donations are anonymous; we cannot assign your donation to you. Thank you so much for your help! 4. The first time you do this please make Pfotenpiloten as the receiver of the donation. 5. For future visits, click on the blue buttons to activate ‘Premium Purchasing’ and then click on ‘Buy Now’. With these 2 clicks up to 10% of your spends moves to supporting our assistance dog teams! 6. If you are using Internet Explorer as your browser, simply start your shopping on www.gooding.de/shops. Amazon will donate 0.5% of the money you spend on their site to us. You can set this up in 3 easy steps. (1)Click the on the banner on the left, (2) log into your Amazon account, (3) in the future, instead of using the usual ‘website URL, use SMILE.amazon.de to shop. Pfotenpiloten automatically remains as the registered recipient. Do you want to do something really great on your feet again? Our friends from ‘Betterplace’ have made everything possible at the click of a button. Now all it needs is your enthusiasm to bring Pfotenpiloten another step forward! Would you like your company to receive some good publicity? 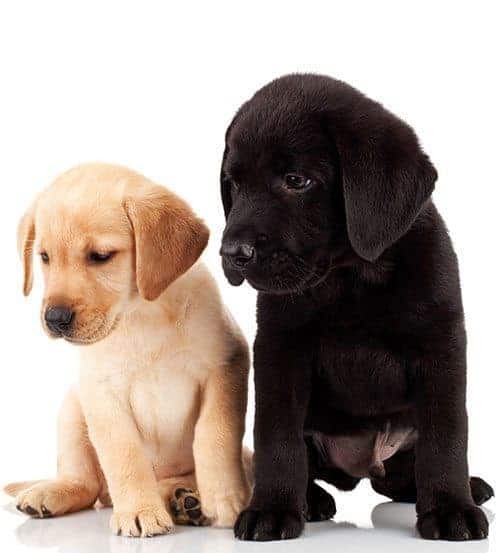 Support our puppies or a Pfotenpiloten assistance dog team! Through our nation wide events, there are many opportunities for your organisation to be a part of the solution, either as an event sponsor or a prize sponsor. For more information in a more personal conversation, please send us a message.